Backgammon Gold Free is a free Backgammon game app for Windows 8 and 8.1 which allows you to play either against the PC or against another player. When you run the game, you can start the game, view the help section or toggle the settings of the game. The game is pretty lightweight and will keep you entertained even if you don’t have another player along with you to play the game as you have varying levels of CPU difficulty for single player gameplay. 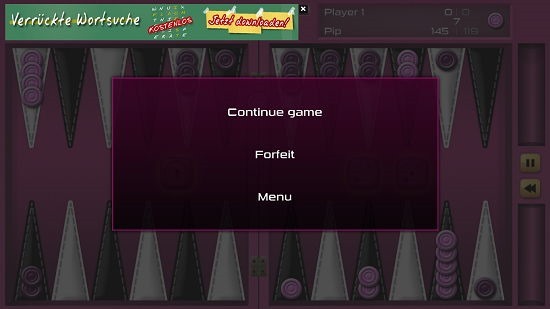 The game is based on standard rules of Backgammon and can be paused at any time via the pause button or Esc. button. You can get Backgammon Gold Free for free from the Windows App Store. 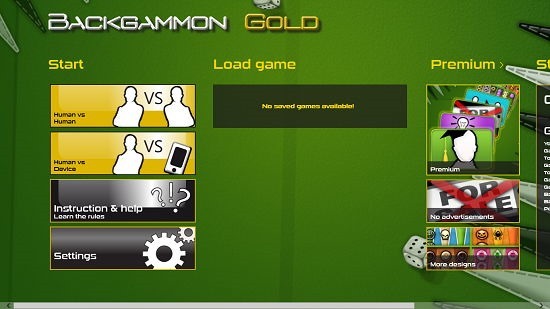 When you run Backgammon Gold Free on your Windows 8 or 8.1 device, you will be shown the below screen. You can choose the game type, help section or the settings zone from the main screen. The help section of the game is shown below. Similarly, you can access the Settings of the game as well via the settings button. 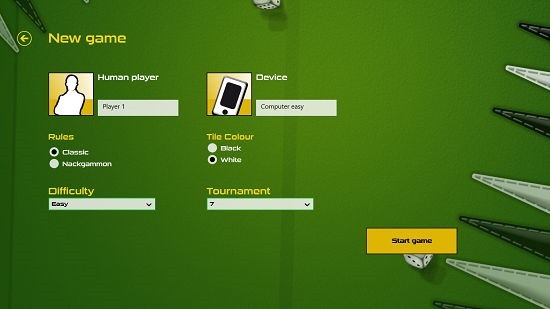 From the settings of the game, you can toggle certain things like difficulty, board design etc. Coming back to the main screen of the app, when you start a single player game, you will be asked to select the difficulty level of the game which can be done when you select the vs. CPU option in the main menu of the game. When you click on the Start button, the game will start with the selected difficulty level. The gameplay is shown below. 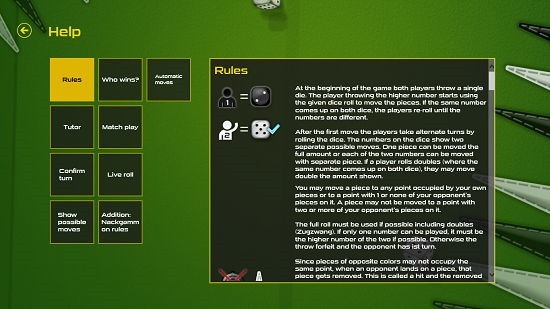 In the gameplay, you have to roll the die by clicking on them and then selecting the moves that you wish to play by clicking on the highlighted pieces. The aim is to eliminate the computer’s pieces. You can pause the game or undo your moves via the buttons at the left side of the gameplay board. You can also pause the game via the Esc. button on your keyboard. 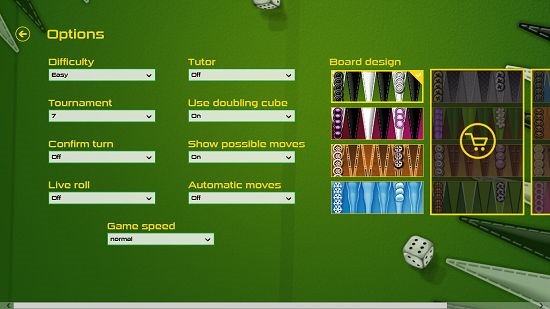 This concludes the main features of Backgammon Gold Free for Windows 8 and 8.1. Backgammon Gold Free is a well-designed game for Windows 8 and 8.1 based on the classic principles of Backgammon. You can grab it for free from the link below.